The nutrition that is given to toddlers under the age of three is more important than most people realize. Early education programs, such as Early Head Start, which caters to babies aged three and under, also provides healthy foods and nutrition as part of their educational services. Studies show that babies grow three inches or so every three months, while toddlers grow at about three to five inches throughout an entire year. However, every baby is different, so their nutritional needs may vary from child to child. Food service supplies for programs like Head Start are very important. Head Start administrators often struggle to create a menu plan for this younger age bracket that will meet their nutritional needs while providing them with exposure to new food choices. One way to achieve all of your goals as an administrator is to work with bulk food suppliers for your food service supplies, to ensure that you are getting the best possible rates for your purchases and the healthiest food options available. One of the biggest ways that FoodSource Plus helps Head Start administrators is to provide them access to food service supplies at rates that they otherwise would not be able to get on their own. The buying power of working through a large organization, a network of other non-profit human service programs and early education programs, gives them discounted rates and opportunities to work with bulk food suppliers without having to buy ten cases of green beans in one shot. Our program starts with an evaluation or audit of your current purchasing strategy. We will show you ways that you can cut your costs and save money on your annual food service supplies budget by buying through our program. FoodSource Plus is totally free to join and all of our budgeting, purchasing and nutritional services are free to members. We have a registered dietician on staff who will work with you to create a healthy menu for the children and families in your program that will allow you to meet all of the regulations and guidelines you are required to achieve. Between the ages of 12 and 24 months, toddlers are learning how to eat regular table food and are exploring brand new tastes and textures. As they leave bottles behind, it is important to ensure that toddlers are receiving a variety of foods in order to get complete nutrition during this essential stage of development. The amount of food that a toddler requires is based upon the child’s age, size and activity level. The average range for a toddler between 12-36 months falls between 1,000 and 1,400 calories each day. Again, a personal assessment of each child is necessary to ensure that they are getting enough healthy foods to eat each day. Speak with your doctor if you are concerned that your child isn’t eating enough. Healthy snacks can be used to help balance out even the most uneven toddler diet. Providing toddlers with small snacks made from nutritious foods between meals can help them from getting cranky. Being able to boost the daily intake of fruits and veggies, whole grains, calcium-rich foods and proteins, makes snack time even more important for toddlers than any other child age group. In fact, nutritionists suggest two to three snacks each day along with three primary meals, to ensure proper nutrition. Head Start administrators of early education programs understand this and will often stock up on healthy treats when they purchase food service supplies. Bulk food suppliers can provide fresh foods that are high in nutrients, such as vitamins and minerals, proteins and fiber. While it may seem like a good idea to purchase pre-packaged snacks for toddlers, studies show that when early Head Start programs buy fresh foods from bulk food suppliers, they not only save money over pre-packaged foods designed for toddlers, but they also save money. Some of the top foods suggested for Head Start administrators to purchase from their food service supplies dealers may surprise you. 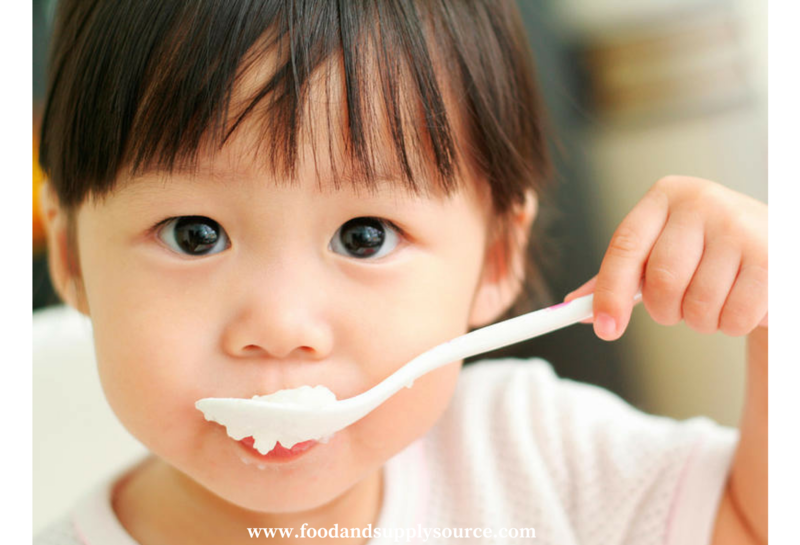 While most people know that toddlers prefer simple finger-friendly foods that are bite-sized for little eaters, it is important to encourage kids to feed themselves. Packaged foods like low-sugar breakfast cereals that contain whole grains, whole-grain crackers and natural – not processed – cheese slices are great choices to have on hand. Supplement these healthy choices with fresh fruit that is cut into small pieces or sliced thinly. In addition to these foods, which should be given in small portions, calcium-rich foods should also be provided. About a half cup of milk is the appropriate serving size for a toddler during snack time and can be coupled with about a half cup of dry cereal or a half cup of fruit for even more balanced nutrition. Head Start administrators can work with the registered dietician at FoodSource Plus for even more great snack ideas and cost-savings opportunities through our bulk food suppliers and other food service supplies.